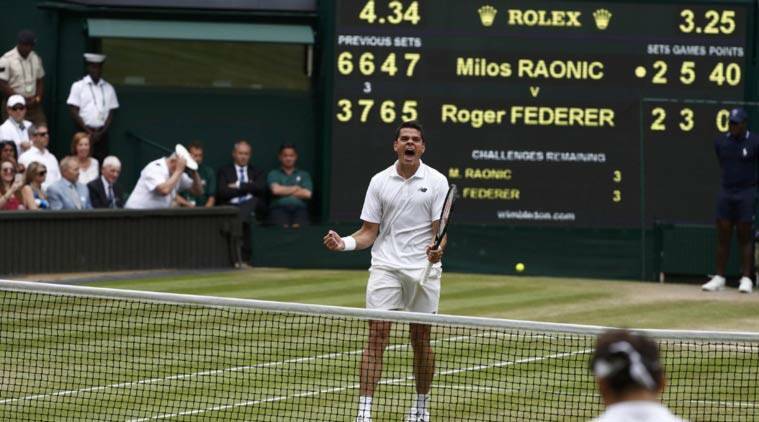 Canadian Milos Raonic recovered to upset seven-times champion Roger Federer 6-3 6-7(3) 4-6 7-5 6-3 at Wimbledon to reach his first grand slam final on Friday. The sixth seed will meet the winner of the second semi-final between Britain’s 2013 champion Andy Murray and Czech 10th seed Tomas Berdych, runner-up in 2010, in Sunday’s showpiece match. 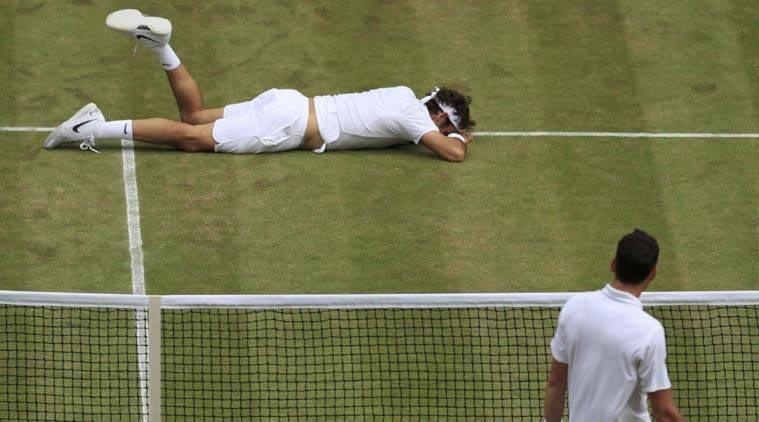 Raonic survived four set points in the second before losing it on the fifth, the first one in the tiebreak, but after a dominant third set from Federer the Canadian came back in the fourth by converting his second set point. This year’s Australian Open semi-finalist then dominated the final set to record his third win in 12 meetings with Federer and dash the Swiss world number three’s bid for a record 18th grand slam crown.